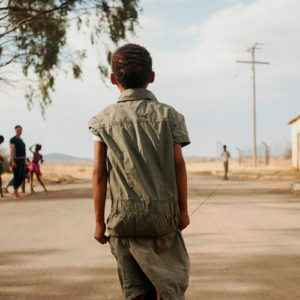 Danielskuil is a bleak, dusty little town in the Northern Cape, with a population of about 30 000. Like so many small, poor towns in South Africa, there are many barriers to HIV testing, mainly a lack of HIV awareness and stigma attached to it. The biggest challenges in Danielskuil are poverty, crime, orphans and vulnerable children, HIV/AIDS and TB, and substance abuse. Many parents are reluctant to take their children for testing and some even refuse to allow their children to be tested. 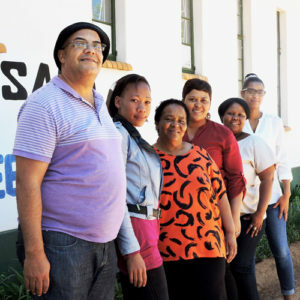 Organisations like the Kgatelopele Social Development Forum (KSDF) have developed trusting relationships with the community to improve testing and care for children and youth. "Previously, people didn't want carers to visit. They were known as 'the HIV people’,” explains Elizabeth Baum, co-ordinator of KSDF home-based care. "Now, it's different." Community members have more education on HIV and there are hundreds of people accessing at the clinic. Jeanette Mqomo and is the project manager. "I identified a need, because of the HIV rate, for a home-based care programme in 2006 and about 40 volunteers were trained." "KSDF isn't just about sickness, it's about integration. We're a part of the community." It's easy to see what Jeanette means. As the KSDF team drives through the town in their bakkie, people greet them with smiles and waves. The staff at KSDF take into account the many factors that affect a child – health, education, psycho-social and emotional aspects. Since the programme has been operational, adherence has improved significantly. There is also direct service from the mobile clinic and the team runs several support groups. Jeanette's wish for the future is "for the numbers to decrease. If we can educate people to decrease their viral load and manage themselves, there shouldn't be newly infected clients”. The Danielskuil town clinic is open every day during the week and its schedule allocates days to different groups. KSDF works in close collaboration with them, and there is also a peer educator at the clinic. On Mondays, the clinic is dedicated to mothers and children and Juliet Pharoro is waiting patiently with little three-month old Kimberley to see the nurse, Isabella Pommer. The small baby has had the flu, and at this monthly check-up, Juliet wants the nurse to check Kimberley's chest. Juliet (28) came here to get tested too. "Most people come here, we like this clinic". She is from Danielskuil and is unemployed. She dropped out of school in Grade 10 when she was pregnant with her oldest child, 11-year-old Princess. "It's very difficult to find a job here." She lives off grants and some help from Kimberley's father but, she says, "I'm happy in Danielskuil." Child and youth care workers watch over children as they play. Dududetsang Seele and Tsholofelo Mogweng are child and youth care workers, and they each have about forty children to look after. "We don't always have enough time every day, so we'll often join up and do group activities," says Dudu as she and Tsholo watch over a large group of children – from toddlers to teens – playing in a dusty cul-de-sac. They love their work, and feel confident in their training, but are sometimes overloaded – 40 children is a big responsibility. NACOSA’s orphans and vulnerable children (OVC) programme used a community systems strengthening approach to provide a package of services to children and their families including prevention, care and support and increased access to HIV testing. A key component of the programme was strengthening the technical skills and organisational capacity of organisations working with vulnerable children. 90% of OVC households were receiving a social grant.